On November 23, 2018, Ireland‘s An Taoiseach, Leo Varadkar TD and the Minister for Rural and Community Development, Michael Ring TD announced the first successful applicants under the Government’s €1 billion Rural Regeneration and Development Fund. 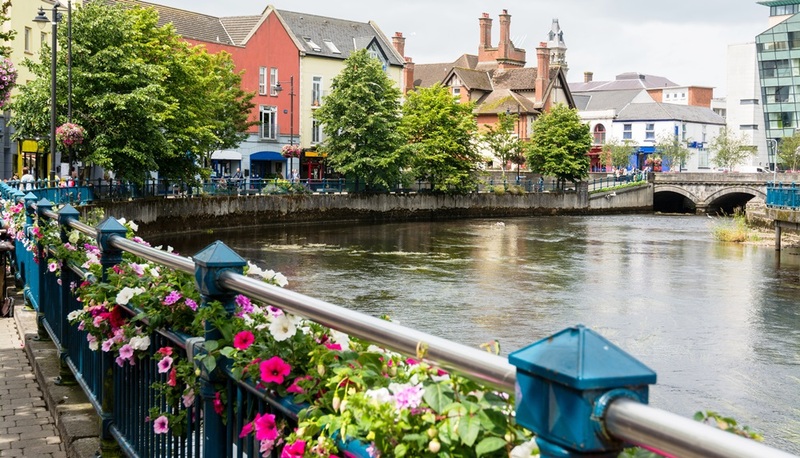 The initiative—which aims to revitalize Ireland’s smaller towns and villages—appeared two issues ago here in REVITALIZATION. At a special event in Sligo, the Taoiseach, Minister Ring and Minister of State, Sean Canney TD outlined the scale and ambition of the fund. In total some €1 billion in funding will be allocated over the next 10 years for rural communities with a population of fewer than 10,000, as part of the Project Ireland 2040 plan to redevelop Ireland. This new announcement focused on 18 projects to be supported in 2019, totalling €24.4 million. €55 million in total has been allocated to the Fund for 2019 and further announcements of projects to be funded in 2019 will follow shortly. A detailed list of the successful projects announced today is provided below. “The €1 billion Rural Fund will enable towns, villages and outlying rural areas to grow sustainably. It’s all about making Rural Ireland a more attractive place to stay, move into or run a business. Today, as we announce the first round of funding under the Rural Fund, I am struck by the dynamism of the ideas that were submitted. Projects involving heritage, regeneration and the public realm, greenways, telecommunications, tourism, environment, enterprise, and public transport. Some, however, stood out from the pack and they are the ones being awarded today. They are projects that have significant potential to improve rural Ireland and to do so quickly; these projects will hit the ground running and I look forward to seeing the results,” he added. “I am delighted that my Department has received 290 submissions from across the country. The funding support announced today for different types of projects will be transformative for the communities concerned. I am looking forward to seeing the difference this funding will make on the ground throughout rural Ireland. I believe that this Fund will continue to achieve even more for rural renewal over its lifetime through a pipeline of ambitious projects. Today’s announcement is just the start and I will make further announcements of successful projects early in 2019,” he concluded. Photo of Sligo, Ireland via Adobe Stock.